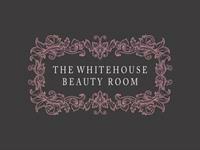 The Whitehouse Beauty Room is located at The Whitehouse Guesthouse away from the hustle and Bustle of St Neots High Street, meaning you can enjoy your treatment without the stress of finding a parking spot. We offer HD Brows to LVL Lashes to waxes. Massages to Manicures to Spray Tans. The Whitehouse Beauty Room has it all. Open to everyone you don't need to stay with us to enjoy our treatments. Bryony is absolutely charming and a real perfectionist. I went back to her for LVL lashes (much better than false!) for my wedding and brought my nervous mum along too. We were both totally relaxed and will be going back. Mum was amazed by the results! P.S., She's also very honest. When we accidentally gave her an extra £20, she gave it straight back. Delightful ? Bryony was such a perfectionist with my nails I couldn't recommend her enough, I had the best time and she even made me an iced coffee. The price was more than reasonable, ill more than likely be trying out everything she offers. ? everyone needs to get on the Whitehouse beauty room hype ! Bryony is friendly and always explains what she is doing when she does my brows! I am a very happy customer and will be using her again and again!